Born in Siberia, the Soviet Union in 1932, Raisa Maximovna endured many of the hardships of her Russian generation. Her family was touched by the Stalinist purges of the 1930s. Her maternal grandfather was arrested in the 1930s and sent to a gulag where he was executed. Raisa went to study at Moscow University and it was here that she gained a greater sense of intellectual and cultural freedom – especially after the death of Stalin in 1953. It was also at Moscow university that she met her future husband – Mikhail Gorbachev. She graduated from Moscow University in 1954, and in 1955, she accompanied her husband to his job as a communist official in Stavropol. In 1978, the Gorbachev’s moved back to Moscow after Mikhail’s appointment as secretary of the General Committee. 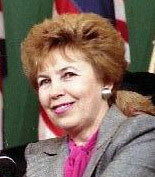 After Chernenko’s death in 1984, Gorbachev was elected to be the leader of the Soviet Union Communist party and Raisa Gorbachev became well known throughout the country. She was unlike many previous wives of Soviet leaders. She was independent, well educated and interested in many different cultural and social activities. Her prominence in the relationship was unusual for Soviet politics where wives usually stayed very much in the background. At home, critics of Gorbachev’s reforms often criticised Raisa. For example, she was often criticised for wearing expensive Western clothes. Though many of the rumours and criticisms in the soviet press were based on misinformation. In an American television interview, Mikhail Gorbachev said that he discussed all important issues with his wife, Raisa, first. This was so shocking to the Russian media it was edited out. But, it was a fact that Raisa played a very important supportive role for Mikhail during the groundbreaking periods of glasnost and perestroika and after. If at home her role was greeted with suspicion, she was favourably treated in the wider world. She was seen as an attractive and cultured Russian – a stark contrast to previous wives of Soviet leaders. She is said to have developed a good relationship with Barbara Bush, the wife of George Bush I. In the 1991 coup, she was held under house arrest for three days and at one time was very fearful for her future as the coup plotters threatened to kill them. After the coup and effective political exile of her husband, Raisa spent a lot of time becoming involved in charitable activities such as raising funds for hospitals and other charities. She created a favourable impression amongst the many people she met, though she still remained a target for criticism amongst some aspects of the media. Citation: Pettinger, Tejvan. 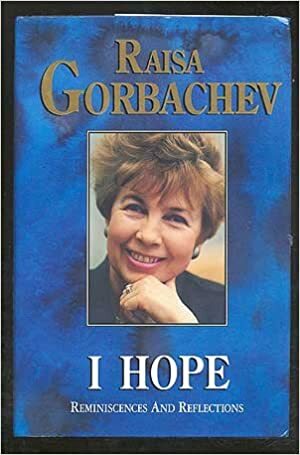 “Raisa Gorbachev Biography”, Oxford, UK. www.biographyonline.net, 18th April 2014. Last updated 22 Feb 2018.